Security & Privacy Issues in DB, OSN, P2P, VANET, WSN, etc. 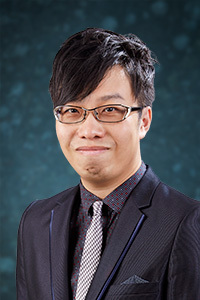 Prof. Sherman Chow joined the Department of Information Engineering at the Chinese University of Hong Kong in November 2012. He was a research fellow at Department of Combinatorics and Optimization, University of Waterloo, a position he commenced after receiving his Ph.D. degree from the Courant Institute of Mathematical Sciences, New York University. He interned at NTT Research and Development (Tokyo), Microsoft Research (Redmond) and Fuji Xerox Palo Alto Laboratory, and has made research visits to U. Maryland, U. Calgary, U. Texas, HKU, MIT, and Queensland University of Technology. These visits resulted in US patent applications and also in publications at major conferences such as CCS and EUROCRYPT. He serves on the program committees of 40+ international conferences/workshops on cryptography, security, privacy, network, cloud, and PKI including ASIACRYPT 2013 and 2012, ACNS 2013 and 2012, ESORICS 2013, IEEE-CNS 2013, Financial Crypt. 2013 and WPES 2012, etc. Cheng-Kang Chu, Sherman S. M. Chow, Wen-Guey Tzeng, Jianying Zhou, Robert H. Deng. Key-Aggregate Cryptosystem for Scalable Data Sharing in Cloud Storage. IEEE Transactions on Parallel and Distributed Systems (TPDS). To appear. Man Ho Au, Willy Susilo, Yi Mu, Sherman S. M. Chow. Constant-Size Dynamic k-Times Anonymous Authentication. IEEE Systems Journal. To appear. Boyang Wang, Sherman S. M. Chow, Ming Li, Hui Li. Storing Shared Data on the Cloud via Security-Mediator. ICDCS 2013. To appear. Cong Zhang, Tsz Hon Yuen, Hao Xiong, Sherman S. M. Chow, Siu Ming Yiu, Yi-Jun He. Multi-key Leakage-Resilient Threshold Cryptography. AsiaCCS 2013. To appear. Tolga Acar, Sherman S. M. Chow, Lan Nguyen. Accumulators and U-Prove Revocation. Financial Cryptography 2013. To appear. Kin Ying Yu, Tsz Hon Yuen, Sherman S. M. Chow, Siu Ming Yiu, Lucas C.K. Hui. PE(AR)2: Privacy-Enhanced Anonymous Authentication with Reputation and Revocation. ESORICS 2012. Sherman S. M. Chow, Yi-Jun He, Lucas C.K. Hui, Siu Ming Yiu. SPICE --- Simple Privacy-Preserving Identity-Management for Cloud Environment. ACNS 2012. Tsz Hon Yuen, Sherman S. M. Chow, Ye Zhang, Siu Ming Yiu. Identity-Based Encryption Resilient to Continual Auxiliary Leakage. EUROCRYPT 2012. Sherman S. M. Chow, Joseph K. Liu, Jianying Zhou. Identity-Based Online/Offline Key Encapsulation and Encryption. AsiaCCS 2011. Cheng-Kang Chu, Wen Tao Zhu, Sherman S. M. Chow, Jianying Zhou, Robert H. Deng. Secure Mobile Subscription of Sensor-Encrypted Data. AsiaCCS 2011. Nguyen Tran, Jinyang Li, Lakshminarayanan Subramanian, Sherman S. M. Chow. Optimal Sybil-Resilient Node Admission Control. INFOCOM 2011. Preliminary version appeared in PODC 2010. Sherman S. M. Chow, Kristiyan Haralambiev. Non-Interactive Confirmer Signatures. CT-RSA 2011. Ching-Hua Yu, Sherman S. M. Chow, Kai-Min Chung, Feng-Hao Liu. Efficient Secure Two-Party Exponentiation. CT-RSA 2011. Sherman S. M. Chow, Yevgeniy Dodis, Yannis Rouselakis, Brent Waters. Practical Leakage-Resilient Identity-Based Encryption from Simple Assumptions. ACM CCS 2010.